We're celebrating Asian and Pacific Islander history and culture with a Special Visions 2017, hosted by Nydia Han. First up, we'll take you to Chinatown's new mecca for dining. Then, visit a Vietnamese Garden that connects seniors and high school students with each other and their roots. We meet the new assistant conductor of the Philadelphia Orchestra along with two Princeton high school students who have written a textbook on race relations that's being used across the country! Plus, we'll take you to a new fencing club in New Jersey opened by a Chinese Olympic medaling fencer and sample authentic Chinese dumplings and Vietnamese pho. Chinatown has a new mecca for food, drinks and entertainment. And it's great, even late. Chinatown has a new mecca for food, drinks & entertainment! We check out Chinatown square for all of its good eats and late night treats. A garden in East Camden is connecting Vietnamese elder refugees to their homeland, while teaching the younger generation about their roots. A garden in East Camden is connecting elder Vietnamese refugees to their homeland, while teaching the younger generation about their roots through a partnership between Camden Children's Garden Program and the Camden School District. A Laotian refugee turned South Philly poet, whose work has been featured on the national stage, is now using her art to unite and heal the Laotian American community. 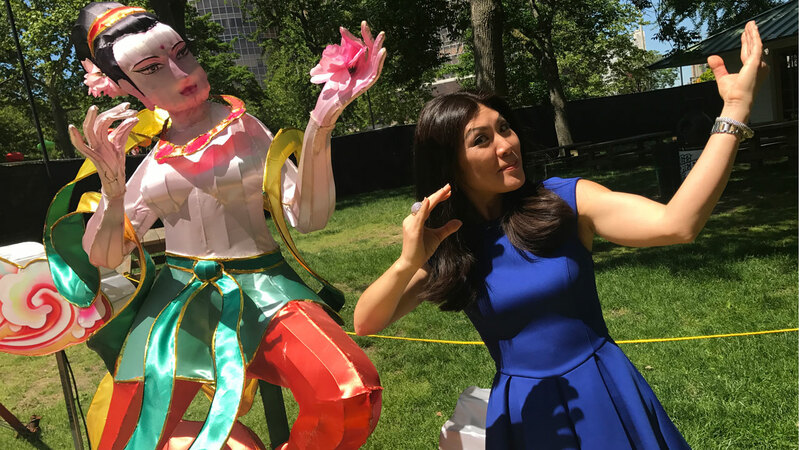 You can experience a Chinese tradition that dates back thousands of years, simply by traveling to Old City's Franklin Square! You can experience a Chinese tradition dating back thousands of years -- simply by traveling to Old City's Franklin Square! The Philadelphia Orchestra's new assistant conductor took an unusual path to his position...and as already had some major surprises! An Olympic medaling fencer from China just opened a club in New Jersey, with a mission of developing elite fencers here in the US! Rowan University's President was born and raised in Iran...an upbringing that fuels his passion for education in a way you might not predict. Dr. Ali Houshmand was born and raised in Iran, an upbringing that fuels his passion for education in a way you might not expect. A pair of Princeton High School students are working to educate the nation on the subject of racism with a textbook already being used in 22 states! Rebecca's dumplings ... just like her grandmother in China used to make! Rebecca's dumplings are made just like her grandmother in China used to make them. There's a little piece of pho paradise in Kensington, and it's as authentic as you can get! There's a little piece of pho paradise in Kensington, and it's as authentic as you can get.